The stock rallied 6 per cent to Rs 332 on the BSE after the company announced that its board will consider bonus issue of shares in its meeting on January 17-18, 2019. Shares of Wipro rallied 6 per cent to Rs 332 apiece on the BSE after the information technology (IT) company announced that its board will consider bonus issue of shares in its meeting on January 17-18, 2019. The stock was trading close to its record high of Rs 344 touched on December 12, 2018, on the BSE in intra-day trade. Earlier, in January 2017, Wipro had rewarded investors by issuing bonus shares in the proportion of 1:1 i.e. one bonus equity share of Rs 2 each for every one share held as on the record date. On January 3, 2019, Wipro said that the meeting of the board of directors will be held over January 17-18, 2019 to consider the condensed audited standalone and consolidated financial results for the quarter ended December 31, 2018, and declaration of interim dividend, if any, for the financial year 2018-19. 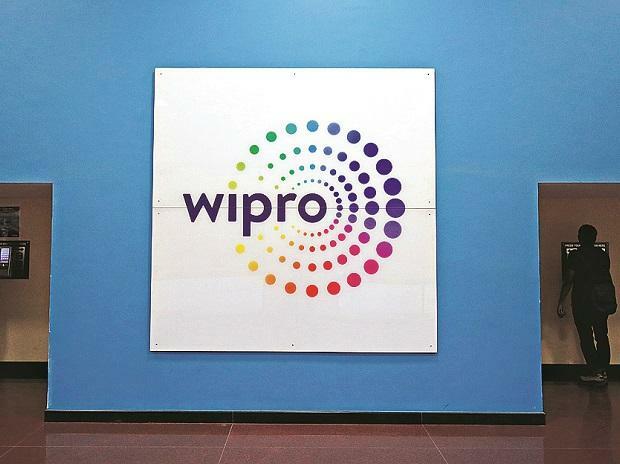 “We expect Wipro constant currency (CC) revenue to grow 1.2 per cent quarter-on-quarter (QoQ). Reported USD revenues would grow by 0.6 per cent QoQ owing to cross-currency headwind. This translates to a sequential growth outlook of 1-3 per cent. Commentary on BFSI vertical, growth in the European market, large deal wins and digital business would be keenly watched,” the brokerage firm Prabhudas Lilladher said in a quarterly preview. According to Emkay Global Financial Services, after adjusting a reporting change in India Government business, we expect 2.0% growth in CC terms in Wipro’s IT services business. A 50 bps CC headwind will lead to 1.5% growth in USD terms. Adjusted for one-time client settlement in Q2FY19, we expect margins to remain flat on a QoQ basis as we expect small INR depreciation gains to be re-invested into the business. “Key things to watch out for Q4FY19 guidance as we believe that guidance below 2-4% QoQ growth would be disappointing, any further announcements on rightsizing viz. business hive-offs and outlook on spending on key clients and in geographies amid expectations of a global slowdown,” the brokerage firm said in IT sector update. At 11:52 am; Wipro was trading 5 per cent higher at Rs 330 on the BSE, as compared to a 1 per cent rise in the S&P BSE Sensex. The trading volumes on the counter nearly doubled with a combined 8.65 million equity shares changed hands on the BSE and NSE so far.